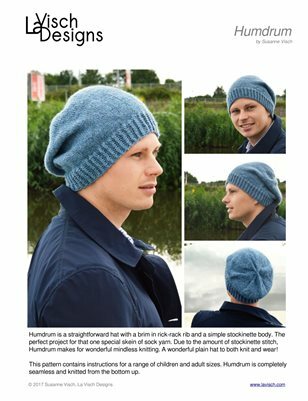 Humdrum is a straightforward hat with a brim in rick-rack rib and a simple stockinette body. The perfect project for that one special skein of sock yarn. Due to the amount of stockinette stitch, Humdrum makes for wonderful mindless knitting. A wonderful plain hat to both knit and wear! This pattern contains instructions for a range of children and adult sizes. Humdrum is completely seamless and knitted from the bottom up.